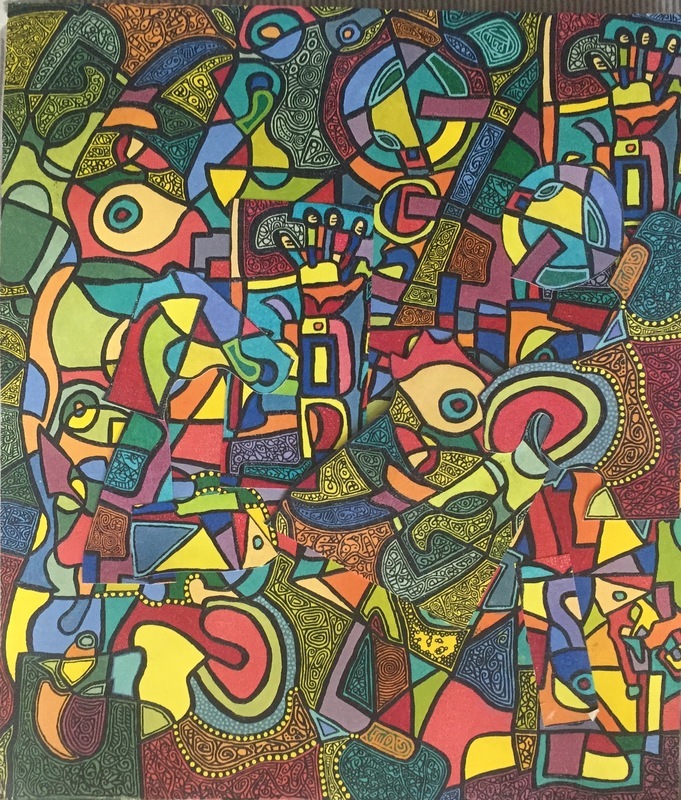 A colorful collage that features a motif of outstretched hands employed in other works, e.g. Item 72, "Volcanic." Randall, Jeff, “Randalls from Private Collections 2,” The Art of Jeff Randall, accessed April 20, 2019, http://jefferyrandall.com/items/show/166.